TWO BEDROOM detached bungalow set back from the roadside with GARAGE and mature GARDENS. 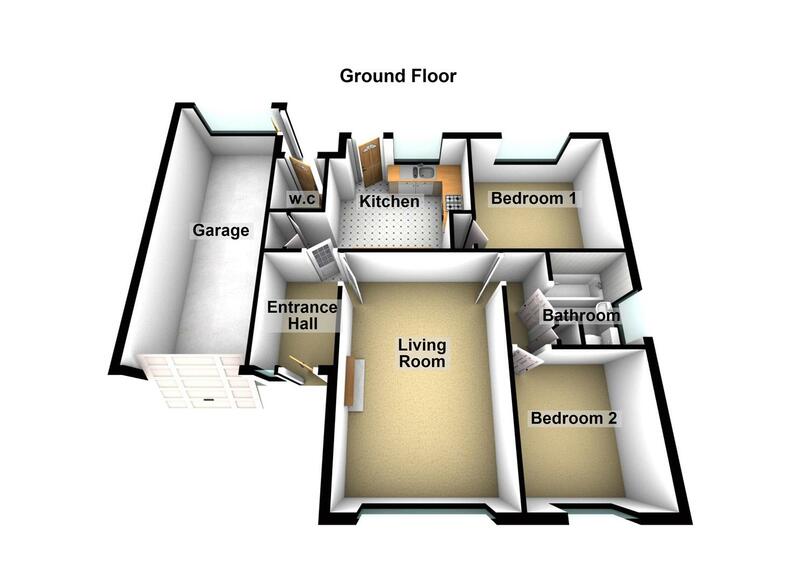 Comprising: entrance hall, kitchen and living room, inner hall, two bedrooms and bathroom, uPVC double glazing and LPG central heating. The property has a good sized driveway and 21ft GARAGE and gardens to the front, side and rear.